“Darkmoor is a game set in a self-deprecating fantasy universe, full of action and magic, where anything is possible! Giant apes and huge, colourful pandas train in the art of kung fu in remote monasteries in preparation for the Steel Fists Tournament. Huge robot toys chase one another through different parallel dimensions waging an automated miniatures war. Coins, jewelry and all kind of possible treasures pop out of the monsters you just killed in dungeons created by crazy robot butlers! In this fantastic world where the incredible becomes possible and anything can be a source of inspiration or comedy, the important thing is always and only FUN. 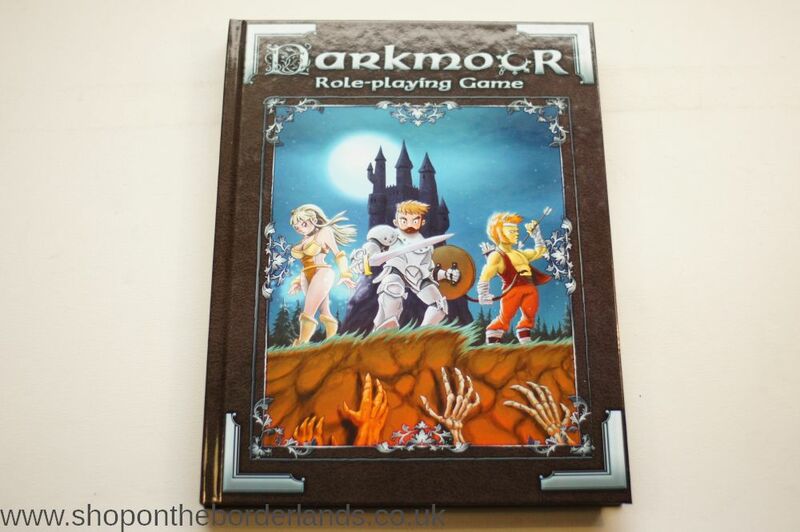 The game design of Darkmoor maximizes the fun and streamlines every other aspect of the game, generating adventures, enemies and rewards… all in addition to the thousands of ideas offered by the absurd world of Darkmoor itself! In Darkmoor, players are NOT puppets in the hands of the Guide. 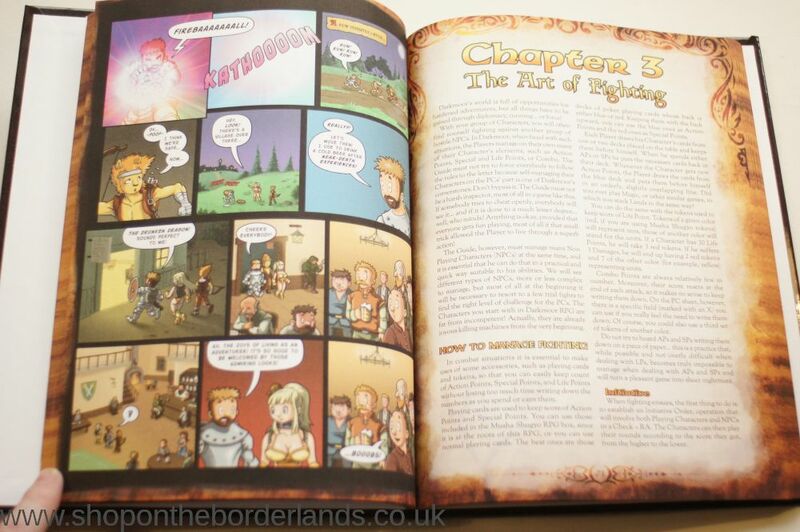 The Guide trusts them and enjoys the game, telling the story and describing the NPCs’ actions.